Weitere Informationen zu Heavy Load - Enhanced Silicone Glide - 236,5 ml / 8 fl.oz. 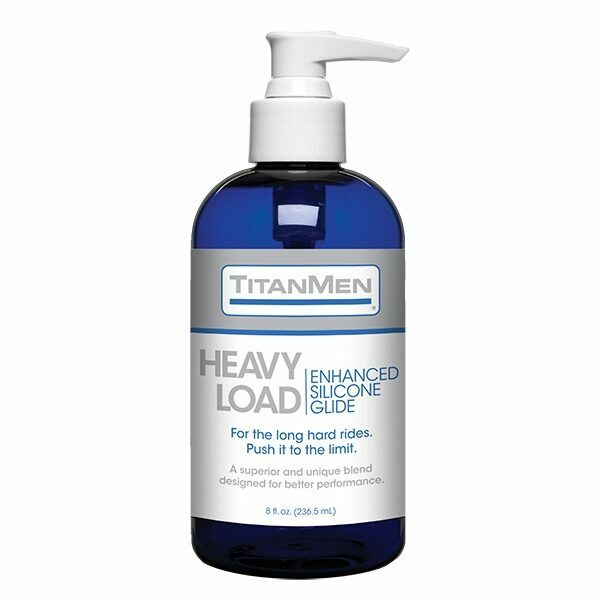 Incredibly slick and ultra long-lasting, TitanMen Heavy Load is the perfect pick for those marathon-worthy rides. This silicone-based formula delivers an unparalleled feeling of slippery smoothness that feels great and eliminates unwanted friction; so whether you’re alone or with a partner, the possibilities are endless!